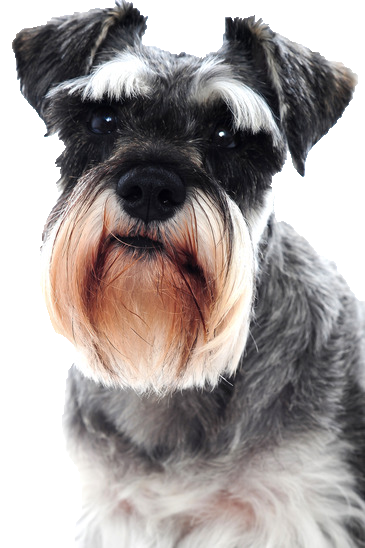 With his wiry coat, and moustached face, your Schnauzer looks like a dapper old gentleman! His coat will require a lot of attention to keep up his smart, tailored appearance with lots of clipping and daily grooming. True to his appearance, he is an intelligent dog with a lively nature, enjoys play time and obedience work, especially patient and trustworthy with children. He thrives off an active lifestyle, requiring lots of exercise and stimulation. Here at Chelsea dogs we have some delicious treats to help make training all the more rewarding.